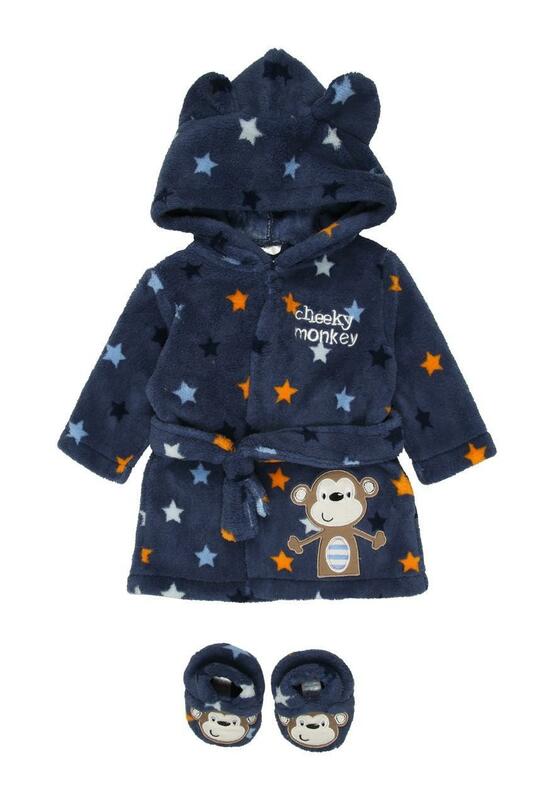 This baby boys' robe and bootees set is a must have for your little cheeky monkey. Featuring a star print fleece robe with a monkey ears hood and matching boottees, this cute set is the perfect pick for bedtime and bathtime. Dressing gown serves its purpose. The slippers never stay on my son, not sure if design fault or my son being able to get them off.